This our 4 Days Safari Tanzania in to the best wildlife parks in the Northern Tanzania Safari circuit, closer to Arusha town. 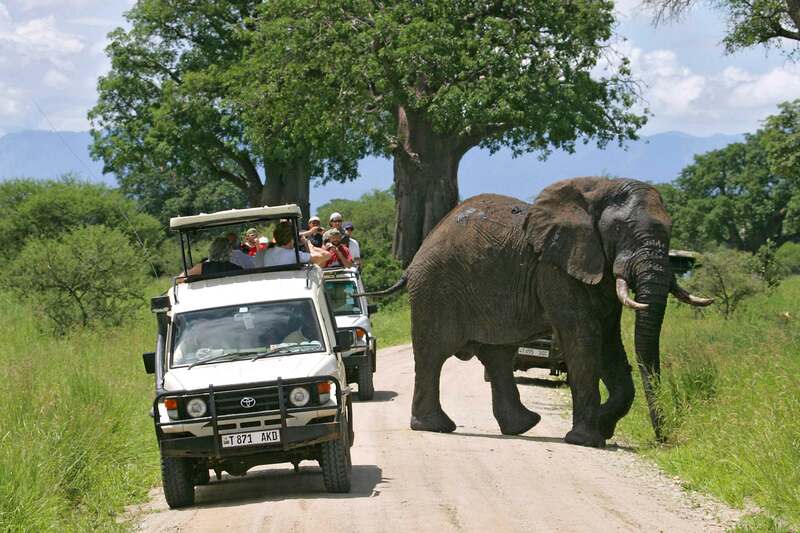 Starting and ending in Arusha town this Tembo Safari like the name suggests takes you to Tarangire National Park the best park to spot the African elephants with herds totaling up to 200 strong and even more in one herd. 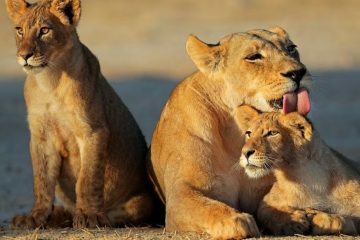 The safari takes you also to Lake Manyara National Park the small beautiful lush green park that is famous for the legendary tree-climbing lions but also you will visit the Ngorongoro Crater which is often regarded as the Eden of Africa. Distances covered in this safari are very short and reasonable and it is a nice package to take especially during the months of August through October especially when the Wildebeests Migration herds have crossed over to The Masai Mara in Kenya. Given the short distances covered in this safari, it is a great package for families coming with younger children and infants. The safari gives a great opportunity for families to enjoy together and in that case we can always customize the tour to include all child-friendly lodges in all parks be it standard luxury or mid-range lodging. See the detailed itinerary for the Tour in the next tab. Arusha – Lake Manyara National Park. Pick up from your hotel in Arusha you will drive to Lake Manyara National Park for game drives. You will take a picnic lunch at one of the many Picnic sites inside the park then continue with game drives till late afternoon when you will drive to your lodge. Overnight at Country Lodge at Karatu or similar lodge. Lunch box and dinner is included. After breakfast you drive to the Ngorongoro Conservation Area and after registration at the Lodurae Gate you drive up the Crater Rim where you will have a short session at the View Point. After taking some pictures of the Crater Floor and enjoying the stunning views below you descend to the crater floor 2000 ft below for game drives. Here you will have the chance to see the Big 5 on one lucky day. The big five includes the rhino, Lions, leopards, Elephants and Buffaloes. Other animals to be seen at the Crater include zebras, topis, elands, hartebeests, hyenas, cheetahs, silverback jackals and many more. Later in the afternoon drive back to the Crater Rim for overnight at Country Lodge. All meals included. Safari in Tarangire National Park. After breakfast at the lodge you leave early to the Tarangire National park. This is the third largest park in Tanzania and it is characterized by the amazingly large herds of elephants that can be encountered in this park. The Baobab trees are one of the other highlights of Tarangire and the Tarangire River that flows all year round is the life blood of the park. Many animals; predators and the preys alike gather around the river where you can do excellent game viewing. 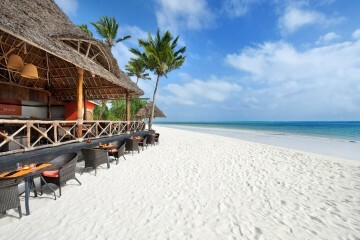 Overnight is at Sangaiwe Tented Lodge, or at a luxury lodge if you so wish (at extra cost). Early morning game drives (if you wish) at Tarangire then you will go back to the lodge After breakfast you will head out of the park with game drives en-route and drive back to Arusha town where the safari ends.Early morning game drives (if you wish) at Tarangire then you will go back to the lodge After breakfast you will head out of the park with game drives en-route and drive back to Arusha town where the safari ends. 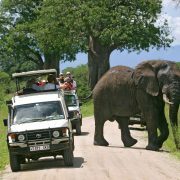 If you wish to this safari as it is; you may contact us by email to ask for our current prices and of course a discount. 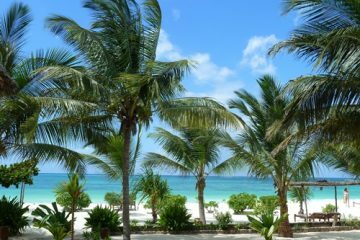 In case you wish to do not fancy luxury we can customize this itinerary to include Mid-range or Budget accommodation if you so wish. Just contact us by email and we shall get back to you as soon as possible.